With PaperCut MF, you can give users the ability to select the client they want to charge to when they are at the MFD. This gives users the choice to print from their computer using the Client tool , or from their personal device without needing to install the client tool. PaperCut MF includes the advanced Client Tool option as standard for all users across all license options. In PaperCut NG, the advanced Client Tool option is only available in the professional client billing licensing option. 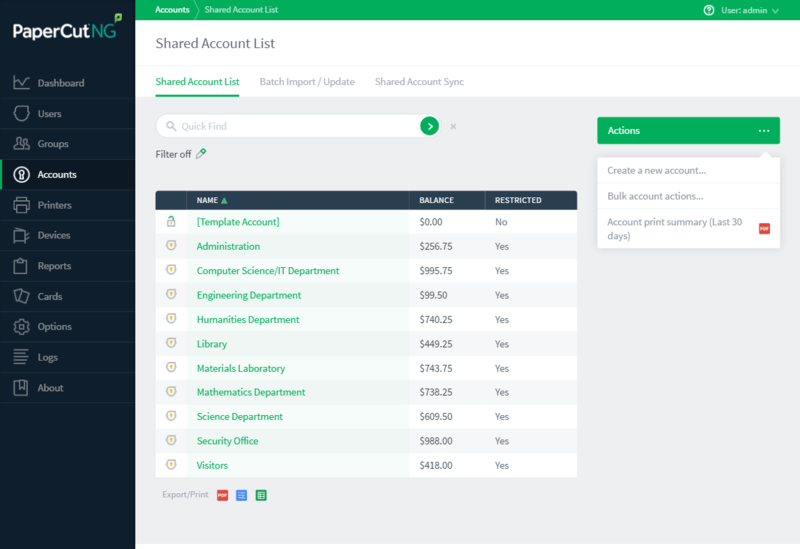 It is specially designed to suit organizations making heavy use of the account charging features in PaperCut. 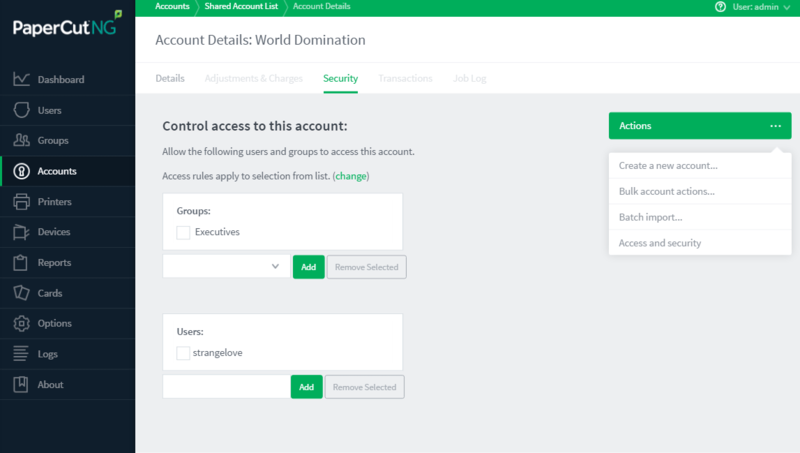 The list of recently selected accounts makes it easy to quickly re-select a previously selected account. As can be seen in the above example, shared accounts can be hierarchical. This allows for greater flexibility in account management.